What are you going to see this weekend, Wolverine, Fruitvale Station or The To Do List. 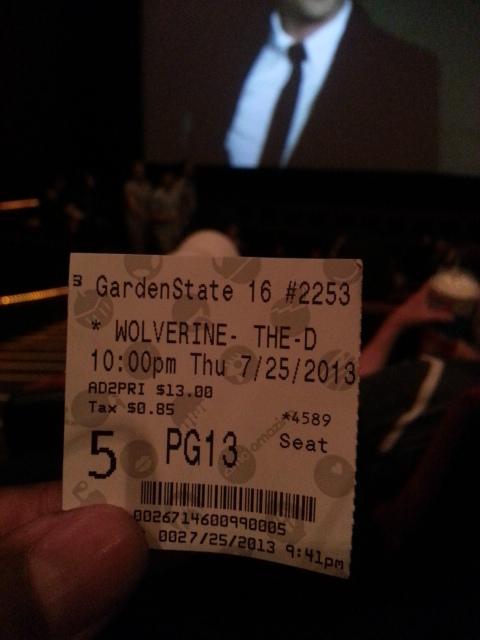 I went to the 10pm showing of Woverine at the AMC Garden State Plaza last night. The film equipment malfunctioned so they moved us to the 10:30 3D show and gave us a free movie pass. The movie was awesome from start to finish. MAKE SURE YOU STAY THROUGH THE END CREDITS TO SEE A CAMEO FROM YOUR X MEN FAVORITES. What ever you see have fun. Here are the previews for this weeks NEW releases.